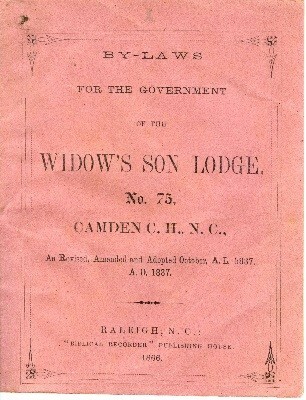 This 1866 by-laws pamphlet was given to the museum by Widow’s Son Lodge No. 75 of Camden, NC. Donated by Camden County’s oldest active Masonic Lodge, the pamphlet details information such as rules of governance and the names of the Lodge’s officers and members. 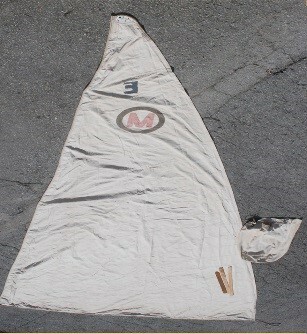 This sail was supposedly used on the Moth Boat Tennis Bracelet for the original class regatta held on the Pasquotank River in 1929. Moth Boats are native to North Carolina and a significant part of the state’s as well as Elizabeth City’s nautical heritage. Hog growing contests were important events for developing the hog population in North Carolina and to make the industry more profitable to those who had a part in it. 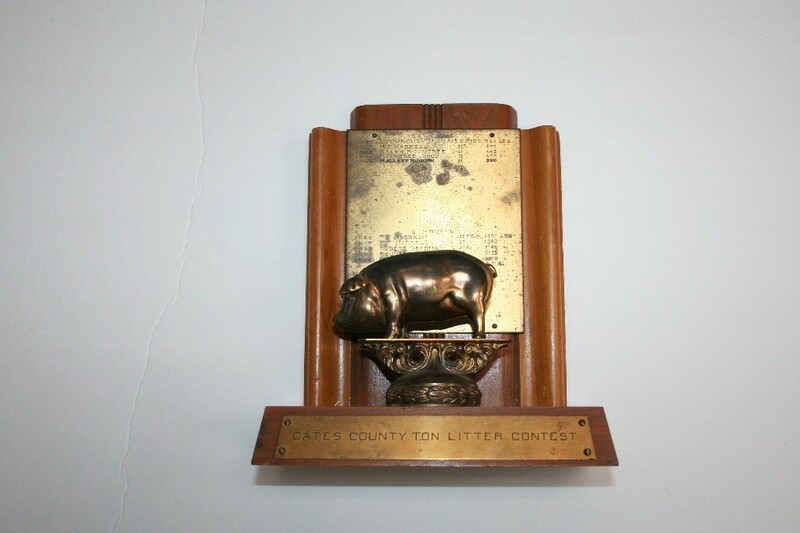 This ton litter trophy lists contest winners, between 1946 and 1955, along with the number of pigs in their litter and the combined weight.